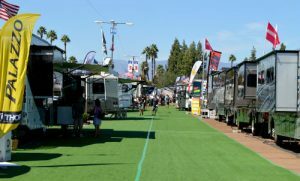 Proper planning and research before an attending RV show is the best move you can make when it comes to a successful RV purchase. It’s also one of the most overlooked methods when you are shopping at RV shows and want to get the most out of your buying experience. At any given event, the number of models can be mind boggling. So, the best course of action is to narrow your choices. Photos courtesy California RV show. 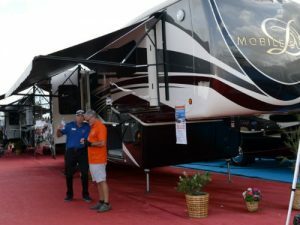 Many models and expert advice are just a few reasons why it’s important to visit a RV show this season. There are many reasons why you shouldn’t miss the winter RV shows. But at any given event when shopping the RV shows, the number of models can be mind boggling. So, the best why of action before visiting an event (and trekking miles through the endless rows of rigs) is to narrow your choices. This can be done many ways. First, establish the type of lifestyle you want on the road. Then decide how a towable or motorized RV can meet that lifestyle. Next, determine length and/or size. 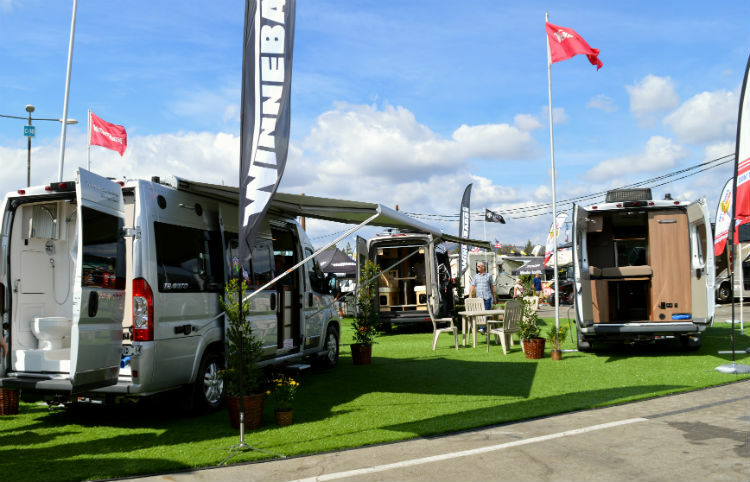 It’s also wise to find a manufacturer that has an ideal mix of quality, price, and reputation in preparation for shopping at RV shows. The internet is the number one source of information with the many RV forum communities, RV blogs, and interacting websites from most RV manufacturers. Also, word of mouth is still a popular and unbiased source of information. Additionally, speaking with other RVers means the benefit of gaining first hand knowledge and experiences when its comes many aspects of the pastime. Speaking one-on-one with experts is a key advantage at a show. “Those new to RVing should start off with a manufacturer they like, one that is using good materials, and has the features they want,” says Toffler. If possible, speak with other RVers for unbiased opinions. Word of mouth is still very valuable. Conduct online nationwide searches on a model you are interesting in. See what dealers across the country are selling your specific model for. Determine the age-old decision of buying a used or new. This will help you discover the new model price differences and features/options available. When visiting a show, don’t dive in head first. Take your time. Visit your local dealer after a show for further inquiries and pricing. When it comes to pricing and negotiating, Toffler explains that shopping around is pertinent to finding the best possible price/value. There are show specials and even select promotional financing options at a show to consider as well.